The Other Side Webzine (Bulgaria / In Bulgarian), 2017. Metal & High Heels podcast (Germany / In English), 2017. Heavy Metal Pages magazine (Poland / In Polish), 2017. Robex Lundgren (Sweden / In English), 2017. Seek and Destroy (USA, Poland / In English), 2016. Actuallitatea Newspaper (Romania / In Romanian), 2016. Black Phoenix Rising (UK / In English), 2015. Metal Hall (Bulgaria / In Bulgarian), 2015. Mika Magazine (Bulgaria / In Bulgarian), 2015. Metal Beast (Bulgaria / In Bulgarian), 2013. Rock Overdose (Greece / In English), 2013. Metal Hall (Bulgaria / In Bulgarian), 2013. The Other Side (Bulgaria / In Bulgarian) 2013. Metal Maidens (Netherlands / In English) 2012. Metal To Infinity (Belgium / In English) 2012. Dead Void Dreams (Bulgaria / In English) 2011. The Metal Fields (Germany / In English) 2011. Pavillon 666 (France / In French & English) 2010. Behind The Veil Webzine (Greece / In English) 2010. Stereo Invaders (Italy / In Italian) 2010. Spirit Of Metal (International / In English) 2010. Eternal Night Webzine (Colombia / In Spanish) 2010. Pest Webzine (Romania / In English) 2010. Kafene (Bulgaria / In Bulgarian) 2008. Metal Best (Bulgaria / In Bulgarian) 2008. RAMPART @ WACKEN OPEN AIR 2017, Power of Metal Webzine (Denmark / In English), 2017. RAMPART @ WACKEN OPEN AIR 2017, The Other Side Webzine (Bulgaria / In Bulgarian), 2017. RAMPART w /ROSS THE BOSS, My Sound, (Bulgaria / In Bulgarian), 2017. RAMPART w /ROSS THE BOSS, WeRock, (Bulgaria / In Bulgarian), 2017. RAMPART w /UDO DIRKSCHNEIDER /ANVIL (Scandinavia), The Other Side, (Bulgaria / In Bulgarian), 2016. 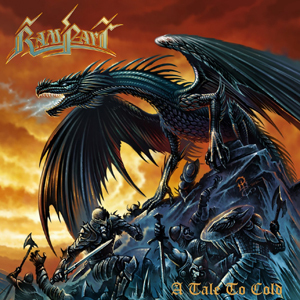 RAMPART w / UDO DIRKSCHNEIDER and ANVIL (Sweden), Metalized.DK, (Denmark / In Dutch), 2016. RAMPART w / UDO DIRKSCHNEIDER and ANVIL (Sweden), METALKAOZ, (Sweden / In English), 2016. RAMPART w/ FLOTSAM AND JETSAM (Greece), Metal Invader, (Greece / In English), 2015. RAMPART at BalkanRock Fest (Serbia), Balkan Rock, (Serbia / In Serbian), 2015. RAMPART w/ SCANNER (Greece), Metal Invader, (Greece / In English), 2015. RAMPART w/ BLAZE BAYLEY (Bulgaria), The Other Side, (Bulgaria / In Bulgarian), 2014. Metal Crowd Open Air (Belarus), The Other Side, (Bulgaria / In Bulgarian), 2014. RAMPART at Athens (Greece), The Other Side, (Bulgaria / In Bulgarian), 2013. RAMPART at Thessaloniki (Greece), The Other Side, (Bulgaria / In Bulgarian), 2013. Cherven Bryag Rock Revival (Bulgaria), The Other Side, (Bulgaria / In Bulgarian), 2013. Taunus Metal Open Air (Germany), Power of Metal, (Denmark / In English), 2012. Taunus Metal Open Air (Germany), Metal Best, (Bulgaria / In Bulgarian), 2012. Rising Fest (France), Heavy Law, (France / In French), 2012. Rising Fest (France), Power of Metal, (Denmark / In English), 2012. Metal Force Festival (Bulgaria), Metal Hangar 18, (Bulgaria / In Bulgarian), 2012. Metal Force Festival (Bulgaria), Pro Rock, (Bulgaria / In Bulgarian), 2012. War Behest March (Bulgaria), Metal Hangar 18, (Bulgaria / In Bulgarian), 2012. Sonic Abuse (UK / In English), 2012. Rockleando (Chile / In Spanish), 2012. 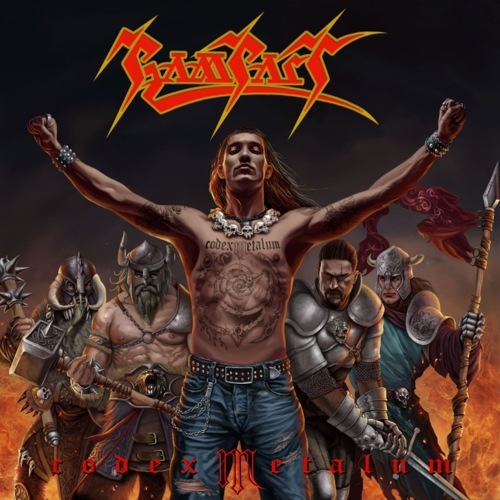 Metal Best (Bulgaria / In Bulgarian), 2012. 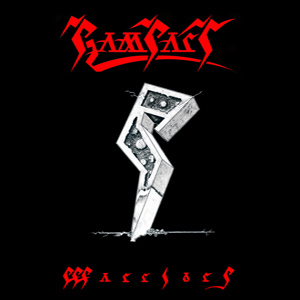 Metal Katehizis (Bulgaria / In Bulgarian), 2012. Lords Of Metal (Netherlands / In English), 2012. Misantropia Extrema (Portugal / In Portuguese), 2012. MetalCore (USA / In English), 2012. Battle Helm (USA / In English), 2012. Peat Webzine (Romania / In English), 2012. Metal 4 All (Spain / In Spanish), 2012. Squealer Rocks (Germany / In German), 2012. Metal.DE (Germany / In German), 2012. Hell Press (Spain / In Spanish), 2012. Rafabasa (Spain / In Spanish), 2012. Stereo Invaders (Italy / In Italian), 2012. Raw and Wild (Italy / In Italian), 2012. Metal To Infinity (Belgium / In English), 2013. Metal Hangar 18 (Bulgaria / In Bulgarian), 2012. Kaosguards (France / In French ), 2012. Dead Void Dreams (Bulgaria / In English), 2012. Danger Dog (USA / In English), 2012. Behind The Veil (Greece / In English), 2012. Zombie Ritualzine (Mexico / In English), 2012. CrimsonMoonZine (UK / In English), 2012. Moshville Times (UK / In English), 2013. Metal Temple (Greece / In English), 2012. Metal Maidens (Netherlands / In English), 2012. Metal 4all (Spain / In Spanish), 2011. Dead Void Dreams (Bulgaria / In English), 2011. Behind The Veil (Greece / In English), 2011. Stereo Invaders (Italy / In Italian), 2011. Obliveon (Germany / In German), 2010. Metal Glory (Germany / In German), 2010. Amboss (Germany / In German), 2010. Power Of Metal (Denmark / In English), 2010. Get Ready To Rock (UK / In English), 2010. Nocturnal Horde (Denmark / In English), 2010. Hard Sounds (Italy / In Italian), 2010. Hard Rock (France / In French), 2010. La Guilde Du Metal (France / In French), 2010. Windows Of The World (Japan / In Japanese), 2010 / 2012. Aristocrazia (Italy / In Italian), 2010. Hybrid Music (Italy / In Italian), 2010. Heavyhardes (Germany / In German), 2010. Metalliville (UK / In English), 2010. Stereo Invaders (Italy / In Italian), 2010. Ave Metal (Poland / In Polish), 2010. Metal Maidens (Netherlands / In English), 2010. Metal Mundus (Poland / In Polish), 2010. True Metal (Italy / In Italian), 2010. 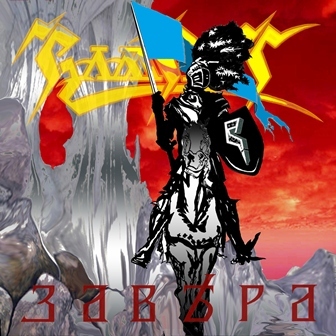 Metal Katehizis (Bulgaria / In Bulgarian), 2010. Lords Of Metal (Netherlands / In English), 2010. Metal France (France / In French), 2010. French Metal (France / In French), 2010. Nocturnal Hall (Germany / In German & In English), 2010. Metal Inside (Germany / In German), 2010. Metal Crypt (Canada / In English), 2010. Zerovarius (Chile / In Spanish), 2010. Metallized (Italy / In Italian), 2010. Metal.DE (Germany / In English), 2010. Kaosguards (France / In French), 2010. Pavillon666 (France / In French), 2010. Speed Of Light (Slovakia / In Slovak), 2010. Archaic Metallurgy (Finland / In English), 2010. Danger Dog (USA / In English), 2010. Raw and Wild (Italy / In Italian), 2010. The Metal Fields (Germany / In English), 2010. Spirit Of Metal (International / In English), 2010. My Revelations (Germany / In German), 2010. Metal Integral (France / In English & In French), 2010. 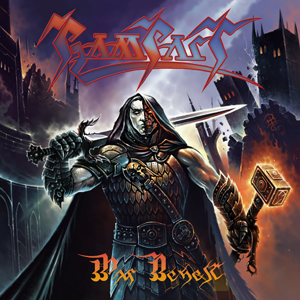 Power Metal (Germany / In German), 2010. Rock Hard Magazine (Germany / In German), 2011. Amboss Magazine (Germany / In German), 2008. La Horde Noire (France / In French), 2008, 2010, 2012. Metal Best (Bulgaria / In Bulgarian), 2008. Metal Katehizis (Bulgaria / In Bulgarian), 2008. Metal Integral (France / In English & In French), 2008. Metal Heart (France / In English), 2008.